A record-breaking heat wave in Israel sparked forest fires, caused flight delays and prompted a sharp increase in reported cases of dehydration and fainting. Temperatures reached 42ºC (107ºF) in Tel Aviv, 39ºC (102ºF) in Haifa and 37ºC (98.6ºF) in Jerusalem on Wednesday. 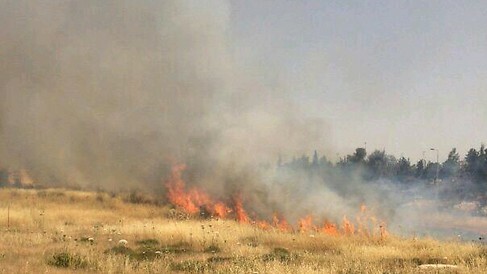 Blazes were reported in the Golan Heights, Jerusalem, outside of Beit Shemesh, and in the northern West Bank. In the town of Tel Mond north of Tel Aviv, three homes went up in flames after a gas tank exploded, the Ynet news site reported. 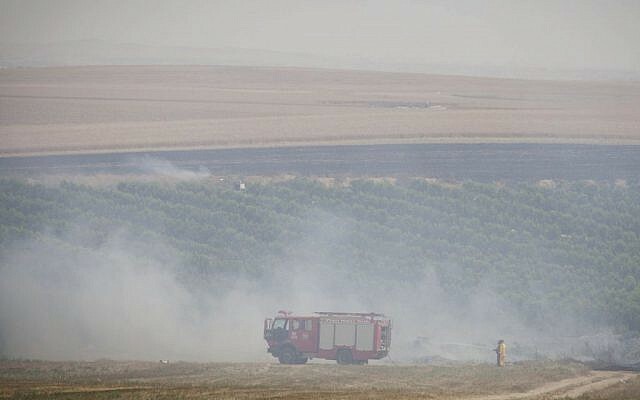 Another wildfire was reported near Mabu’im in the northern Negev. 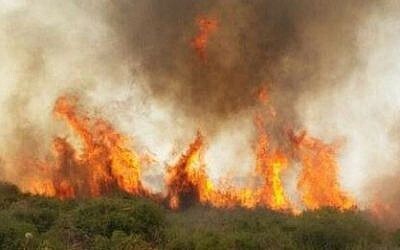 Several small fires were reported in Jerusalem, including in the neighborhood of Ras al-Amoud and the Atarot industrial area. Six were evacuated from those areas with light injuries. 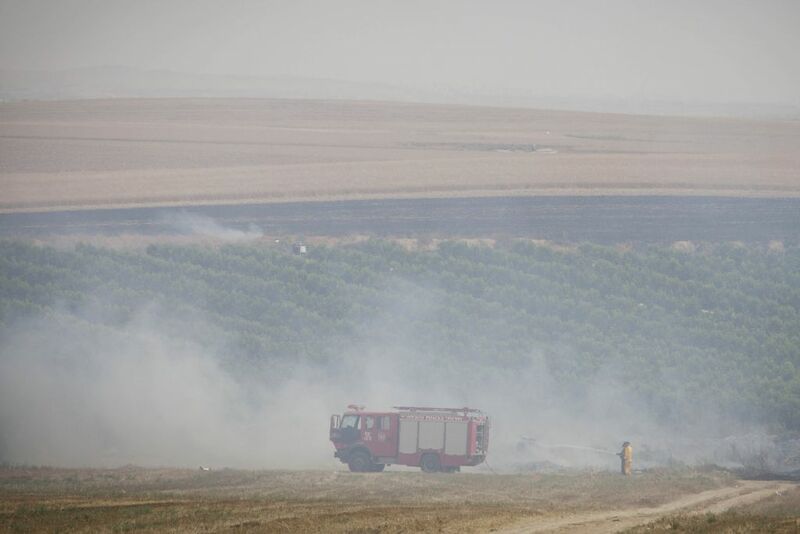 Twenty firefighting crews and four firefighting aircraft were also battling a large blaze around Beit Shemesh in the Nahal Sorek forest. Security forces evacuated residents from their homes in the village of Roglit, but firefighters later managed to steer the flames away from the area. 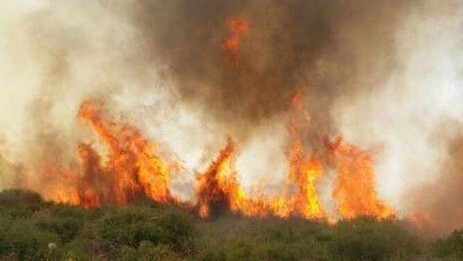 In the northern West Bank, fifteen firefighting teams and six firefighting aircraft were attempting to extinguish a fire near the Jewish settlement of Sal’it. Power outs were reported in the central Israeli city of Ra’anana, apparently due to strong winds knocking down electricity lines, according to Israeli Radio. Delays were reported at Ben Gurion International Airport on account of the heat. One toddler was also taken to the hospital after being left in a car for two hours in Petah Tikvah. He is listed in stable condition, according to the Ynet news site. 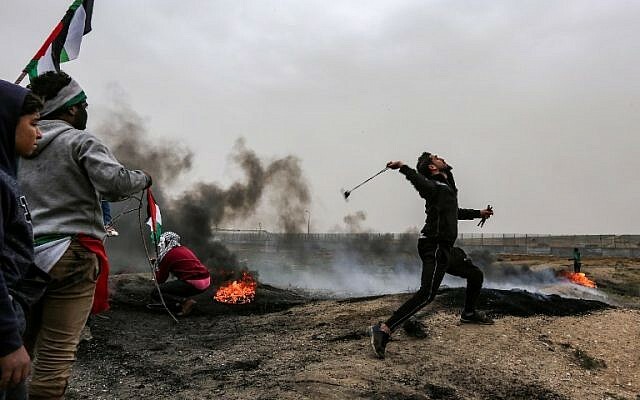 Israel’s National Fire and Rescue Authority said it has placed 600 firefighters on alert at stations throughout the country. 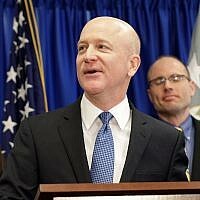 Its 12 aircraft have been placed on alert as well, and the public was asked to refrain from lighting outdoor fires of any kind. On Wednesday night, topical rain showers were reported in several locations throughout the country, meteorological services said. The heat wave is expected to break on Thursday, with seasonal averages returning and a further cool-down over the weekend.